Don't let this one slip away!! Nice updated home situated on dead end street in sought after ICW area of Jax! Seller has put just over 46, 000 dollars of upgrades & improvements!! Step into the foyer which has an open dining room & formal living area which makes a great home office! The stunning kitchen has dark cabinets, beautiful granite, lots of storage, food prep island w/stools, wine cooler, stainless steel appliances-great layout for entertaining; family rm w/fireplace overlooks screened lanai; split floor plan; good sized bedrooms; upgraded laminate flooring thruout, master bathroom remodeled w/large walk-in shower, raised vanity w/granite counters, walk-in closet; roof-2015; HVAC-2009; wtr htr-2012, water softener-2012. House also has a transferable termite bond, 1 yr home warranty 2-10; fenced backyard w/shed & pavered deck & plenty of room for grill & furniture. 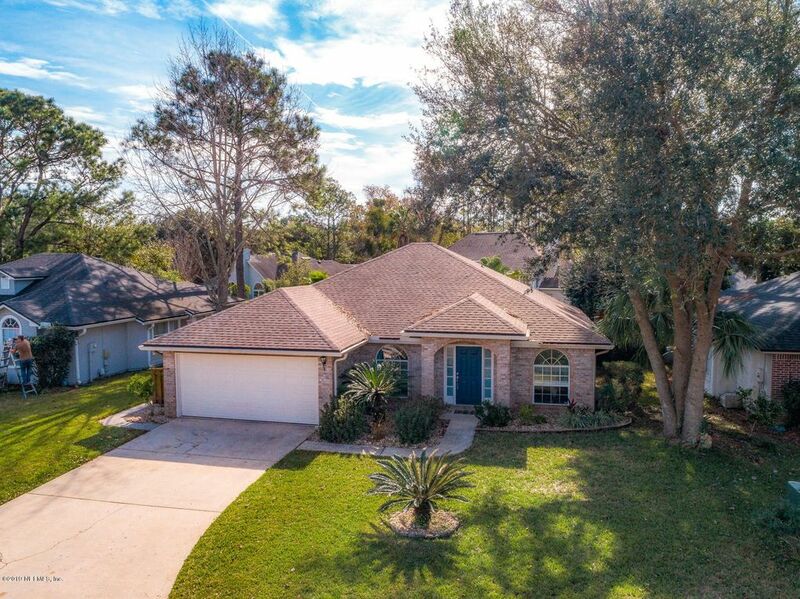 Minutes from the Beaches, NS Mayport, shopping, retail, dining & Alimacani Elementary! See in docs list of upgrades and improvements. Note - shears on slider doors and doggie door do not convey with the sale. Directions: From Beach Blvd, head North on San Pablo Rd. T/L on Las Brisas Way (San Pablo Creek entrance), t/l on Capistrano Dr. House on the right.